Music includes an unknown realm, a world that has nothing in common with the external world of the senses that surrounds it and in which it leaves all feelings in order to yield to an inexpressible longing. 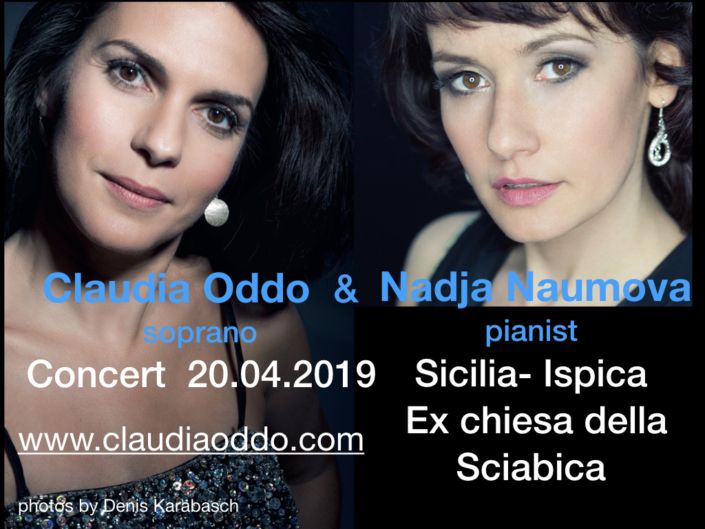 "A musical journey from Sicily to Germany"
Claudia Oddo: "I dedicate this first concert in Sicily to my father Lorenzo Oddo, born in Ispica on 07.01.1942 and died on 29.10.2011 in Bielefeld, Germany. I owe him a passion for singing and for his beloved country "Spaccafurnu." The Sicilian-German soprano has been working for more than a decade with her trusted pianist Nadja Naumova. Together they will perform pieces that have marked the career of Claudia Oddo. 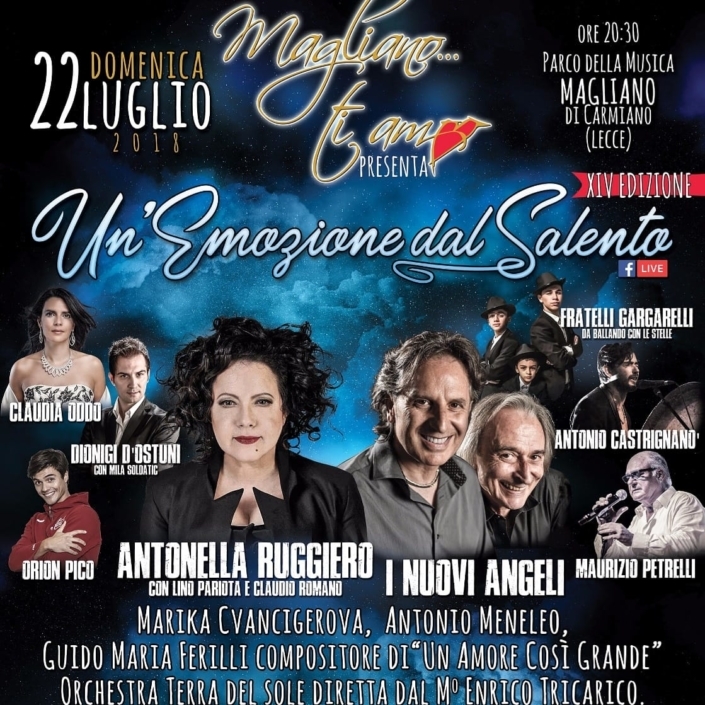 The soprano, with a lyrical vocal register, will sing songs in "Sicilian dialect", her mother tongue, like the lullaby "Avo, avo and avo" that she arranged. 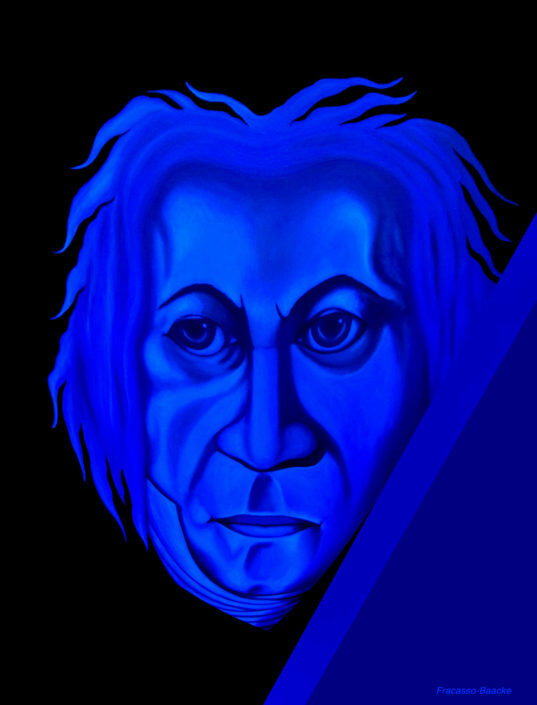 There will be some arias from Bellini, Verdi and Puccini and some German Lieder by Schumann and Schubert. 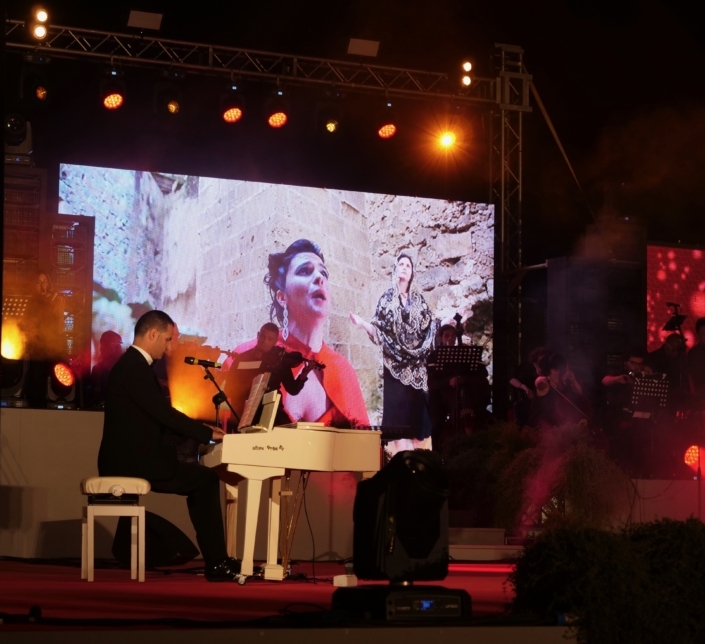 To conclude the program the soprano will sing her own compositions as "Flowers of passion" with a poem written right at the sea of ​​Ispica. At the piano Nadja Naumova will let us listen some masterpieces of the authors Tschaikowski, Rachmaninoff, Schubert and Chopin. Thanks to the city of Ispica and the Italian Council i Dortmund for its patronage. A special thanks to the main sponsor Immobiliare Colocghio! Claudia ODDO and Enrico TRICARICO. Do you have questions about individual events? I’m happy to help! Do not want to miss any upcoming event? Benefit from exclusive special offers only for newsletter subscribers. Signing off is possible at any time via a simple link! Notes for data protection can be found here.